The Jones Act market had regularly been front-page news a couple of years ago when, at the top of the market, a Jones Act products tanker achieved $120,000 daily rate for an one-year TC by a major oil company. With shale oil production going strong and cheap money aplenty, lots of attention was drawn to the Jones Act market, and much of such attention was from different type of players, outside the typical ‘shipowner market’ – the seaways transport providers, the providers of one link only in the long supply chain. In the article originally published in Marine News magazine in December 2015 under the title “Trailblazing Transactions in the Jones Act Market”, Basil M. Karatzas contemplates on the market trends of the Jones Act industry. Given the weak state of the Jones Act market (widely defined to include ‘brown water’ assets, too) and the energy and offshore industries at present, the trend of well-diversified and well-capitalized players expanding in the market is likely to continue…probably the topic of a new article in the near future! Article can be accessed by clicking on cover page of the December issue of Marine News herebelow. Article is copyrighted material of Marine News and New Wave Media. Posted on December 18, 2015 by Karatzas Marine Advisors & Co. Most countries with coastal line have enacted laws that mandate special rules for vessels that trade in territorial waters and flying their national flag (cabotage laws). Typically, cabotage laws offer certain degree of protection from vessels flagged under foreign regimes in exchange of commitment to operate and crew the vessels locally. Most often than not, cabotage shipping pertains to vessels that are engaged in local, specialized trades (such as ferries, tugs, push boats, etc), and by the volatility standards of international shipping, typically cabotage shipping is considered a backwater business of interest to a few local investors and shipowners. The cabotage law for the United States’ territorial waters (Merchant Marine Act of 1920, better known as the “Jones Act”) could easily fit the mould, most of the time; the market is stable over the long term, varying normally around the historic average with a commanding majority of the assets not even capable of international trade (such tug and push boats, harbor tugs, and plenty of OSVs for coastal trade). However, the Jones Act market is probably the most talked about cabotage market, since vessels suitable for international trade, where comparables exist, typically can have exorbitant economics such as charter rates of $120,000 pd for a year’s charter by an investment grade oil company. Many people, mostly shipowners form abroad, have been calling for an un-competitive or inefficient market. Recently, Basil M Karatzas penned an article at the request of the Editors of the Shipping Network, the magazine for the UK-based Institute of Chartered Shipbrokers, titled “Jones’s American dream divides opinion”. A copy of the article, courtesy of the Shipping Network, can be accessed by clicking here! Posted on December 25, 2013 by Karatzas Marine Advisors & Co. IN a week expected to be dominated by otherwise routine festive celebrations, Kinder Morgan Energy Partners, L.P. (NYSE: KMP) announced that it has entered into a definitive agreement to acquire American Petroleum Tankers (APT) and State Class Tankers (SCT) from affiliates of The Blackstone Group and Cerberus Capital Management for $962 million in cash. APT owns five Jones Act MR-size product tankers, while SCT is expecting delivery of four Jones Act MR-size product tankers between November 2015 and July 2016. All vessels have long-term employment with investment credit (almost) charterers, while the manager of the vessels is well-qualified Jones Act operator/owner/manager Crowley Maritime Corporation. 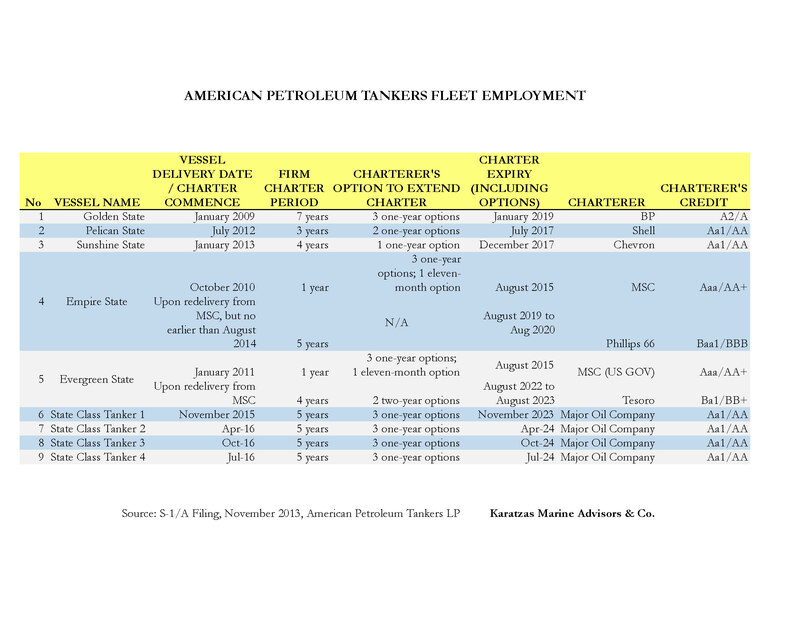 APT Fleet Employment (SEC Filings); Karatzas Marine Advisors & Co.
Blackstone got involved with APT tankers a while back when the vessels were still under contract to be built at National Steel and Shipbuilding Company (“NASSCO”) by the now defunct U.S. Shipping Partners. However, ever since, Blackstone/APT has been on and off exploring several competitive financing options, including government-guaranteed loan program for maritime assets under Title XI financing, and accessing the capital markets for competitive financing besides traditional ship mortgage financing; a couple of attempts to access the bond markets had not obtained great reception or desirable pricing, and since early in 2013 the company has been exploring options for an IPO in the US, and the SEC filings have offered certain information to the otherwise opaque (to the outsiders) Jones Act market. Certain information and calculations in this posting draw from recent SEC filings and other market information. As per the latest update with the SEC on November 26th, 2013, the owners were looking to raising about $170 million from the impending IPO. It is believed that the average contract price of the APT tankers was approximately $105 million each, with about $110 million delivered cost. The SCT tankers have been ordered in 2012 during the present shale-oil-induced Jones Act boom at a contract price of about of $120 million per vessel. Based on $125 million delivery cost, 30 years total economic life and zero scrap value, on straight-line depreciation, back-of-the-envelope calculations (for detailed Jones Act asset pricing and valuations please contact us directly) suggest that the APT fleet has a present NAV of $545 million. The SCT newbuildings have a nominal value of $500 million, but given that KMP will be responsible for about $214 million to the shipbuilder, it implies that the owners have already committed $285 million. In total, the owners are extracting a $130 million premium (about 15%) over the present NAV of the fleet. 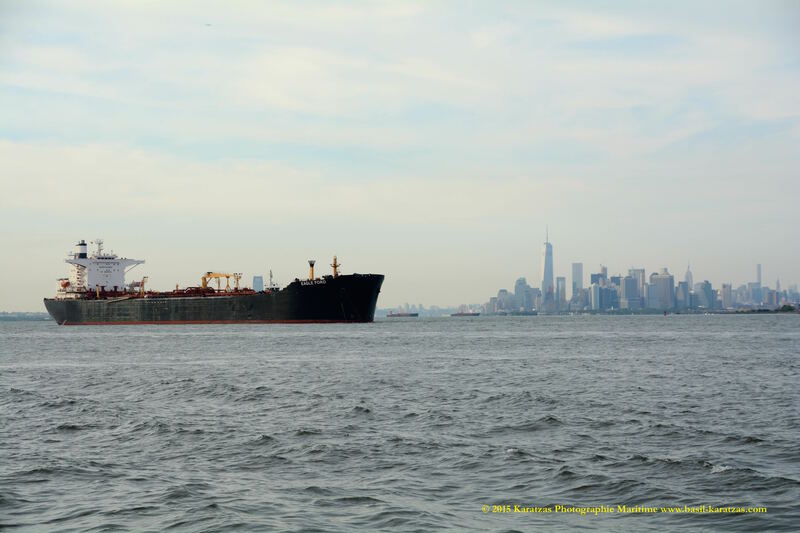 The owners are projecting that APT tankers have secure average daily earnings ranging from about $55,000 pd in 2014 to $65,000 pd in 2016, reflecting the improved fortunes of the market ever since shale oil brought new life to the Jones Act market. As per SEC filings, direct vessel daily operating expenses stand at about $20,000 pd, but taking into account management fees and other expenses, the daily cost is higher by several thousand dollars. The five APT tankers are grossly expected to generate $60 mil EBITDA per annum, implying about $60,000 pd time charter for each of the four SCT tankers (again, with firm five year fixed charter to investment grade oil major.) The nine vessels will be generating EBITDA annually of $140 million and the EBITDA multiple for the transaction stands at 8.4 times, well within reasonable range. 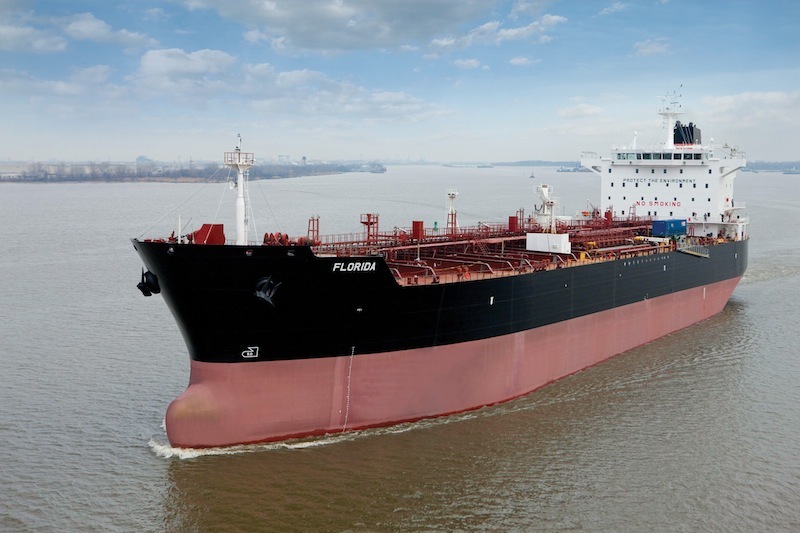 Blackstone’s involvement with the APT Jones Act tankers project goes a while back and to a certain extent is greatly intertwined with a former major player in the Jones Act market. Upon its successful IPO in 2004, U.S. Shipping proceeded with an order of about $1 billion for nine MR-size Jones Act tankers, including options, at NASSCO based on the premise of replacement of vintage (often single-hull) Jones Act tankers by 2015, increased demand for domestic trade of liquid cargoes and also increased trade of petroleum products to the US West Coast from the US Gulf through the Panama Canal. U.S. Shipping proceeded forming a JV with Blackstone, where the former provided vessel management and industry expertise, while the latter were to contribute most of the required equity. In this 60:40 JV, U.S. Shipping provided $70 million junior equity, and Blackstone provided $105 equity and $325 million revolving lines of credit. The timing of the venture was not great as demand never reached its full potential as projected (and the last two vessels of the five-vessel package had hard time finding employment originally) and demolition of vintage tonnage was slower than expected. By spring 2008, U.S. Shipping had run into trouble with about $330 million of loans and $100 million bonds (outside the JV with Blackstone), and by early 2009, the company had filed for bankruptcy protection. Shortly thereafter, Blackstone managed to have U.S. Shipping leave the JV, forfeit their investment of $70 million, and switched management to Crowley Maritime Corporation. It’s hard deciphering Blackstone’s financial commitment to the project over its involvement since 2005, which definitely is much higher than their $105 million in equity investment; they have provided debt financing on many occasions, and this has been a high overhead transaction in terms of legal work in clearing the situation with U.S. Shipping, dealing with the yard and construction financing, and also dealing with the US government in obtaining Title XI financing (their last effort to obtain Title XI financing for the SCT vessels was rejected repeatedly); but again, the Jones Act market is well-known market for protecting market positions by any means, whether by law, by lobbying, by regulations. An IPO was the logical exit strategy, but it would take hard effort for right pricing and also would require sufficient time for the sponsor to be able to liquidate their holdings; and even in a protective industry, a lot of variables can change during the holding period that could affect the value (and the returns from) of the investment. The sale to a strategic buyer like Kinder Morgan has its strong benefits; the sale is expected to take place by 2014 Q1 and thus waiving any holding periods for the sponsor. Then, the pricing of the transaction can be said to be at least ‘fair to strong’ and definitely certain, versus a pricing for an IPO depending on the vicissitudes of the markets and the ever-changing investment risk appetite of the US investor (by definition, and APT offering was primarily open only to US citizen investors.) The transaction is accretive to the buyers right away, but mostly, the benefits of the sale depend on the Kinder Morgan’s ability to extract more value from APT, most likely more than any other alternative. The Jones Act tanker market is ‘hot’ at the moment (if we are allowed such an expression in shipping! ), based on the bottlenecks created by strong shale oil production. These bottlenecks are expected to last until the second part of 2015 when the present wave of Jones Act tanker newbuilding ordering is scheduled to start reaching the oil terminals. Simultaneously, the pipeline industry is working hard at getting the necessary permits to add capacity (Keystone XL is the obvious example), and the railroads are working overtime not only delivering crude oil in tanker railcars but also increasing capacity and also getting active into building oil storage facilities. In the interim, the outstanding Jones Act orderbook is ‘fair’ and could get much worse (ten firm vessels on order, plus eight options already, with an existing fleet of 34 vessels.) And, the calls are growing about lifting the ban for crude oil exports from the US in order to maximize economic efficiencies. A ban lift is not expected to be without undue ‘debate’ and time consuming, but a serious threat to the marker, nevertheless. Being a shipowner without solid access to cargoes seems sort of Rigoletto’s ‘pluma al viento’, depending on the winds of the moment and the market and the supply chain; it always has been like that, and always will be. However, APT being part of Kinder Morgan, a much bigger player in the supply chain, APT doesn’t depend solely on the winds of the moment as Kinder Morgan has much deeper access to the cargo owners, and buyers and sellers, with their existing pipeline network and storage facilities, and they can offer ‘one stop shipping’ to shale oil producers in West Texas and in the Bakken Basin. An interesting lesson, it has to be said. U.S. Shipping, the original dreamer, got squeezed out due to poor timing and over-ambitious ordering, the PE partner had to reach their whole vast armory of resources and expertise to make the most out of a challenging investment and optimally benefit their shareholders and exit the investment when times got opportune. Probably more smiles than grins in this investment, just in line with the Spirit of the Season!